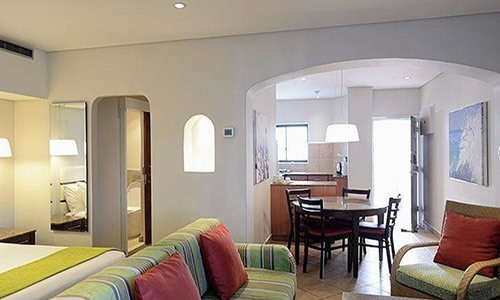 Cabana Beach at Umhlanga Rocks is designed in the style of a classic Mediterranean Village, the resort lies on the beautiful coast of uMhlanga near Durban. This KwaZulu-Natal destination has become a haven for holidaymakers, boasting year-round sunshine and a warm sub-tropical climate. Not surprisingly, the hotel has been honoured with a number of awards that are testament to its outstanding level of quality.